Warmer weather makes me crave lots of citrus in my food and, of course, in my drinks as well. I've been making good use of the big bowl of lemons sitting on my counter and I definitely wanted them to shine through in my cocktail. A lemon drop was the logical choice. It's normally made with vodka but this time I gave it a little extra kick. 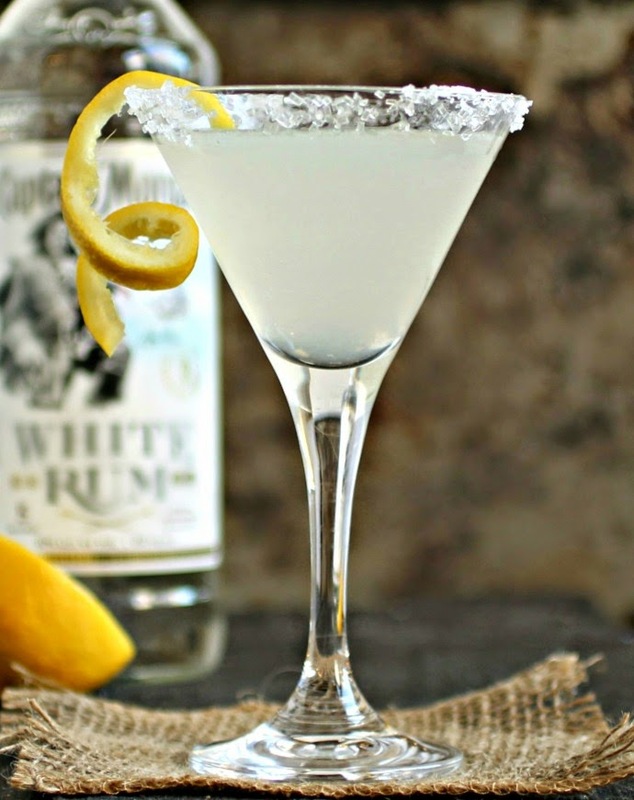 Although I'm a huge fan of spiced rums, for this drink the crisp, almost lemony flavor of a white rum works better. A little extra something but still a predominantly lemon drink. Tall and tart to make you appreciate the sugared rim. A definite winner. Cheers! 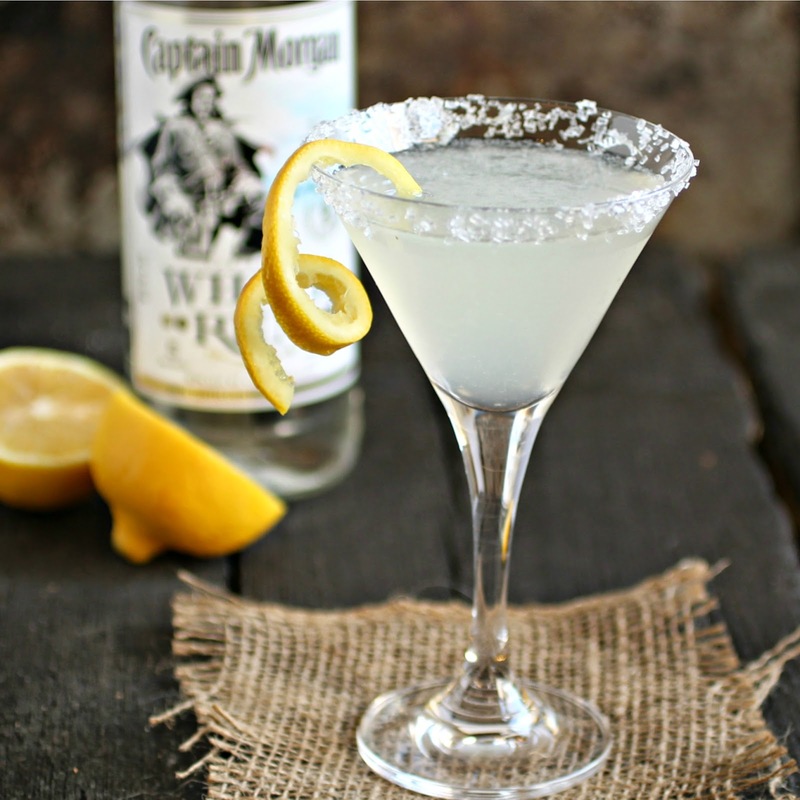 Pour some sugar into a shallow dish, run a wedge of lemon around the rim of a cocktail glass, then dip the rim into the sugar. Chill the glass for a few minutes. Add the rum, lemon juice, triple sec and simple syrup to a cocktail shaker and fill with ice. Shake vigorously and pour into the prepared glass. Garnish with a wedge of lemon, if desired. 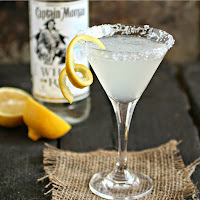 I love Lemon Drop drinks! They are so delicious! This is perfect for for a refreshing pick me up! Hi Debbie - Triple sec adds a nice orange note so, if you don't have any, try adding a 1/2 oz. of orange juice. But I do suggest you pick up a bottle to keep around. It's not expensive and is a staple ingredient in many cocktails. Enjoy!